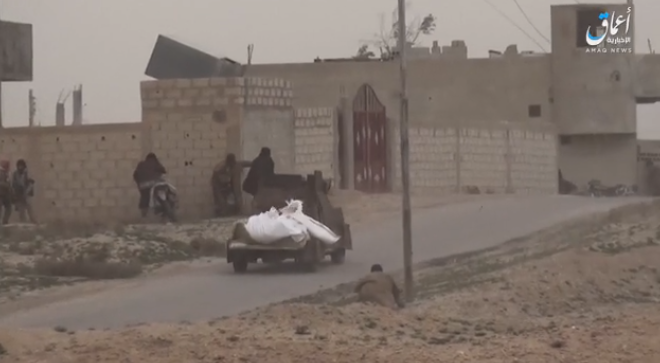 An ISIS car bomb moving towards SDF positions in the neighborhood of Hawi Al-Susah, near the village of Al-Susah (Amaq, January 17, 2019). 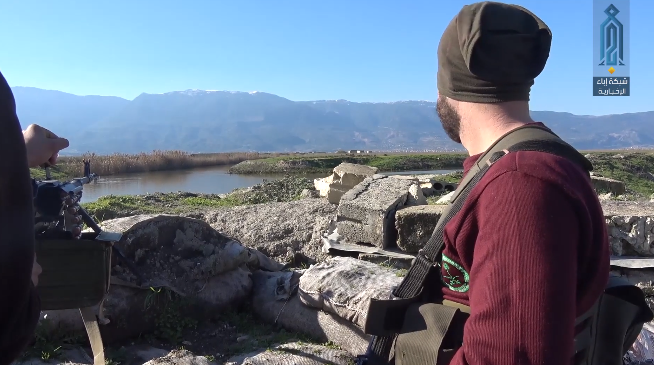 The ISIS-controlled enclave on the east bank of the Euphrates River continues to shrink. This week, the SDF forces, which are driving ISIS operatives southward, took control of the village of Al-Susah. ISIS operatives remained surrounded in a “pocket” about 7.5 km long and 5.7 km wide. At the same time, there are still reports of ISIS operatives fleeing from the enclave, some of them foreign nationals. The US and Kurdish forces have not yet completed their evacuation from the city of Manbij. The evacuation was accompanied by a suicide bombing attack carried out by ISIS in the heart of Manbij against a US and Kurdish patrol (19 dead, four of them Americans and five Kurds). Another suicide bombing attack was carried out against a joint US and Kurdish patrol near the city of Al-Shaddadi, in the heart of the Kurdish control area east of the Euphrates River (according to the Americans and the Kurds, there were no casualties). In the ITIC’s opinion, these suicide bombing attacks indicate an ISIS effort to carry out attacks during the pullback of US soldiers from Syria. In the Idlib area, the Headquarters for the Liberation of Al-Sham continues to consolidate its control, while weakening the Turkish-sponsored rebel organizations and suppressing ISIS’s existence in the region (this week, 12 ISIS operatives were executed following the explosion of a car bomb against a command post of the Headquarters for the Liberation of Al-Sham). 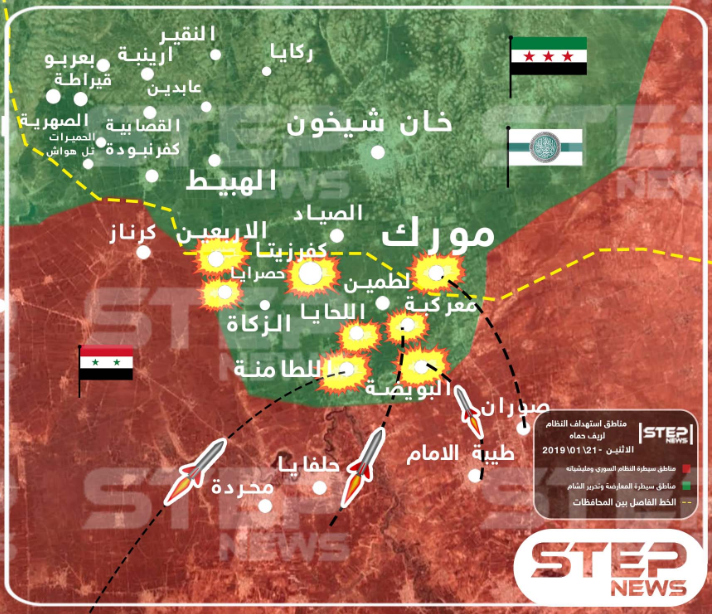 The level of tension in the Idlib area rose this week and was reflected in numerous incidents between the Syrian army and the jihadi rebel organizations (mainly exchanges of artillery fire). Turkish President Erdoğan continues to threaten to carry out a military operation against the Kurds east of the Euphrates River. Concurrently, talks are being held between Turkey, Russia and the United States regarding the establishment of a Turkish safe zone on Syrian territory. On the agenda is the issue of control of the city of Manbij which, in Turkey’s view, should be included in the safe zone. President Erdoğan stated that Turkey had informed the US President that it was prepared to assume responsibility for the security of Manbij. On the other hand, the Syrian army and the Russian Military Police are deployed near the city with the intention of entering it and restoring the Syrian regime’s control. This week as well, incidents continued in the Idlib region, mainly between the Syrian army and the jihadi organizations. The incidents were more intense than in previous weeks, mainly expressed in exchanges of artillery fire. The Syrian army reportedly fired artillery for several consecutive days at the rural area north of Hama (updated to January 21, 2019). On January 17, 2019, snipers of the Awaken the Believers operations room (affiliated with Al-Qaeda) shot at a force supporting the Syrian army in western Aleppo (Awaken the Believers operations room, January 17, 2019). 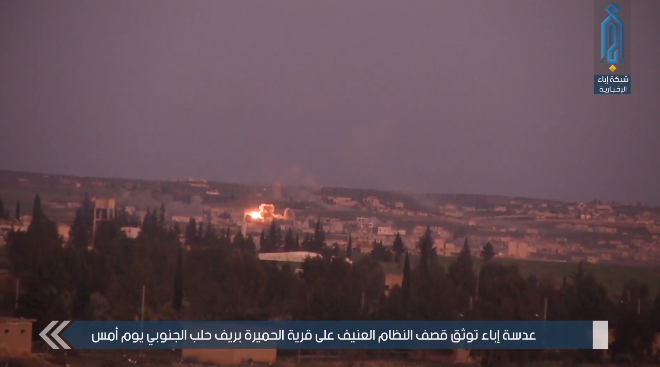 On January 17, 2019, the Awaken the Believers operations room fired a rocket at a force sporting the Syrian army southwest of Aleppo (Awaken the Believers operations room, January 17, 2019). On January 18, 2019, the Syrian army launched several rockets at a number of villages southwest of Aleppo. There were no casualties, but some houses sustained damage (Ibaa, January 19, 2019). On January 19, 2019, the Syrian army fired (artillery) at a squad of the rebel organizations north of Hama. The Syrian army also fired at positions of the Headquarters for the Liberation of Al-Sham in the Al-Ghab Plain (southwest of Idlib) and north of Hama (SANA, January 19, 2019). On January 21, 2019, the Syrian army fired artillery at a rebel organization force north of Hama (SANA, January 21, 2019). On January 21, 2019, the Syrian army destroyed fortifications (embankments and trenches) of the Battalions of Glory north of Hama (SANA, January 21, 2019). Recently, the Headquarters for the Liberation of Al-Sham has taken military steps against the Ahrar Al-Sham organization in the area south of Idlib. Ahrar Al-Sham is an Islamist rebel organization. It is supported by Turkey and constitutes part of the National Liberation Front affiliated with Turkey. 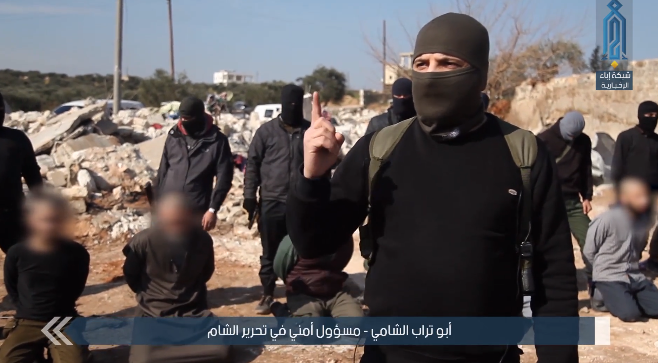 In the wake of these military steps, an agreement was reached between the two organizations which, in the ITIC’s assessment, consolidates the Headquarters for the Liberation of Al-Sham’s control over the Idlib enclave. At the same time, the Headquarters for the Liberation of Al-Sham executed 12 ISIS operatives who had destroyed one of its command posts by detonating a car bomb. The agreement between the organizations was signed on January 19, 2019. According to the agreement, the operatives of Ahrar Al-Sham will return to the Al-Ghab Plain (southwest of Idlib) and to their contact lines vis-à-vis the Syrian army. The Ahrar Al-Sham forces will be reorganized in the Al-Ghab Plain as part of a “central military operations room” controlled by the Headquarters for the Liberation of Al-Sham (Nidaa Suriya, January 19, 2019). In the ITIC’s assessment, this agreement means that the Ahrar Al-Sham forces are subjected (at least in the Al-Ghab Plain) to the command of the Headquarters for the Liberation of Al-Sham, with the intention that they would act against the Syrian army when the campaign in Idlib begins. 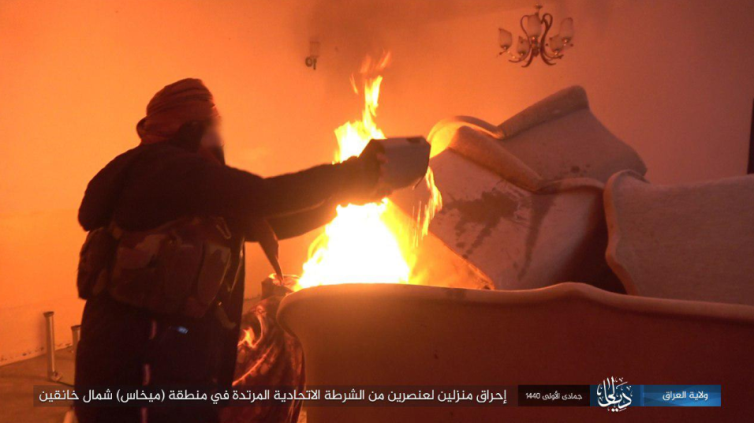 On January 20, 2019, the Headquarters for the Liberation of Al-Sham executed 12 ISIS operatives in a site where two days earlier, ISIS detonated a car bomb near a command post of the Headquarters for the Liberation of Al-Sham, destroying the command post and killing many of the operatives (Ibaa, January 20, 2019). 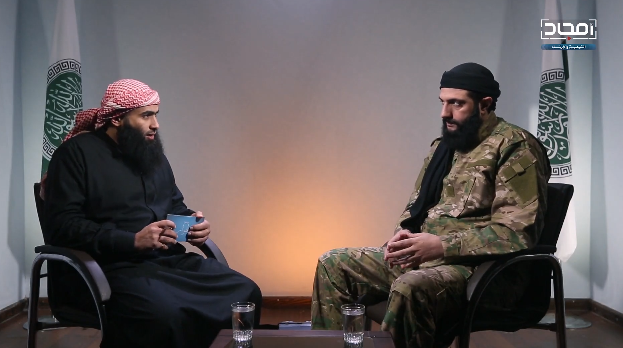 Abu Turab al-Suri, senior security operative of the Headquarters for the Liberation of Al-Sham. ISIS operatives are seen in the background, before being executed. 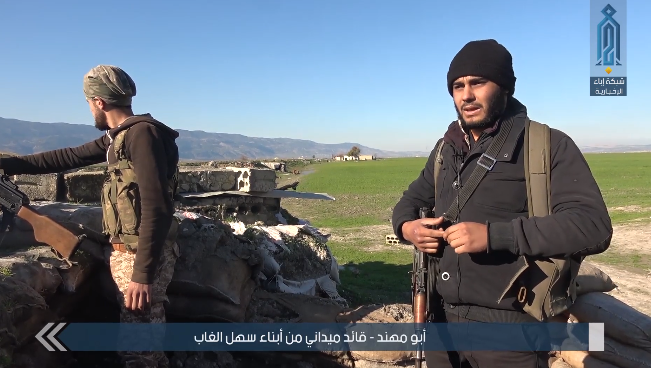 Behind them are the ruins of the command post of the Headquarters for the Liberation of Al-Sham (Ibaa, January 20, 2019). This week, the SDF forces continued to advance down the Euphrates Valley. On January 21, 2019, they took over the village of Al-Susah and the area to its south, with US and Coalition air support (although the SDF hasn’t issued an official statement about that). The SDF forces have already taken over most of the ISIS enclave. 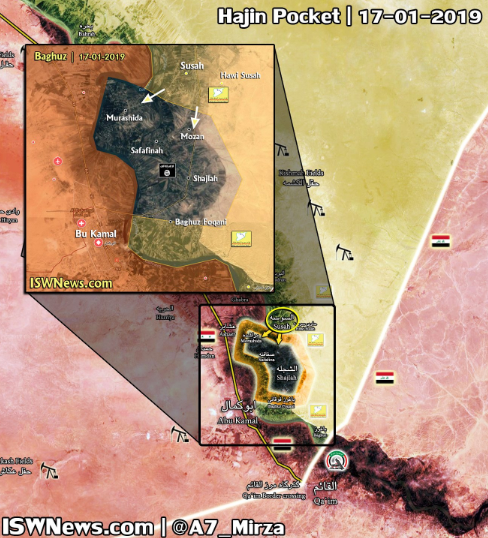 The area controlled by ISIS continues to shrink, and the organization is now holding a “pocket” extending from the area north of Albukamal up to the area south of the village of Al-Susah (the “pocket” is 7.5 km long and 5.7 km wide). On January 17, 2019, the SDF forces attacked the village of Al-Susah. Battles took place between the SDF forces and the ISIS operatives, who employed a suicide bomber and a car bomb (Deir ez-Zor 24 Twitter account, January 17, 2019). On January 18, 2019, fighting took place in the neighborhood of Hawi Al-Susah (about 800 m east of Al-Susah). ISIS sustained 37 fatalities, most of them killed in Coalition airstrikes (Enab Baladi, January 18, 2019). On January 18, 2019, the SDF forces managed to take over Al-Susah, while ISIS was trying to retake the village (Enab Baladi, January 18, 2019). On January 21, 2019, the SDF forces took over Al-Susah and the area to its south (Deir ez-Zor 24 Twitter account, January 21, 2019). The Syrian Observatory for Human Rights reported that since early December 2018, over 23,450 people had fled from the ISIS enclave east of the Euphrates River. Most of them are local residents, but there are also hundreds of ISIS operatives of various nationalities among them (Syrians, Iraqis, Russians, Somalis, Filipinos and foreign fighters of other Asian nationalities). It was also reported that among the civilians who had fled there were also about 1,390 ISIS operatives who had been detained by the SDF forces (Syrian Observatory for Human Rights, January 21, 2019). The Syrian Observatory for Human Rights (SOHR) reported that since the beginning of the attack on the ISIS enclave, a total of 1,122 ISIS operatives and 621 SDF fighters had been killed (Syrian Observatory for Human Rights, January 18, 2019). It appears that the situation in the city of Manbij and its environs did not fundamentally change during the past week: the Kurdish and US forces did not yet leave the city, and the other forces (the Syrian army, Russia or, alternatively, Turkey and the rebel organizations affiliated with it) did not yet enter the city to fill the “security vacuum” that will be created there. Against this backdrop, this week, senior Turkish officials pointed out the need to “liberate” Manbij from the Kurdish forces and expressed Turkey’s willingness to assume responsibility for the city (implicitly within the framework of the safe zone that Trump and Erdoğan had discussed). Turkish Foreign Ministry Spokesman Hami Aksoy said at a press conference that the liberation of Manbij from the Kurdish forces (PYD/YPG) is a matter of Turkey’s national security. He said that the terrorist attack in Manbij (i.e., the ISIS suicide bombing attack against an American target) exposed the importance of mopping up the region from “terrorist organizations” (note: the Turks consider both the Syrian Kurdish forces and ISIS terrorist organizations). According to the Foreign Ministry spokesman, Turkey views the United States’ proposal for a safe zone in the region very favorably, and the Turks are still holding talks with the Russian side in this regard (Anadolu News Agency, January 18, 2019). The Turkish Anadolu News Agency reported a telephone conversation between Turkish President Erdoğan and US President Trump. During the conversation, Erdoğan said that Turkey was prepared to assume responsibility for the security of the city of Manbij. The office of the Turkish President issued a statement to the effect that Erdoğan and Trump had agreed to take joint steps to mop up the remnants of ISIS in Syria and prevent it from rising again. Erdoğan reportedly said that Turkey would not allow the Kurdish forces in Syria (PYD/YPG, which he presented as affiliated with the PKK) to destabilize northeastern Syria (Anadolu News Agency, January 21, 2019). On January 21, 2019, the Turkish President stated that the goal of those trying to exclude Turkey from Manbij was to strengthen the “terrorist organizations.” Regarding Turkey’s military operation east of the Euphrates River, Erdoğan said that almost all preparations had been completed. Erdoğan added that those who had carried out even the slightest attack against Turkey would pay a heavy price. Especially ISIS, YPG and PYD, all of which would pay a heavy price (Anadolu News Agency, January 21, 2019). On January 21, 2019, ISIS carried out a suicide bombing by a car bomb against the joint patrol of the US and the Kurdish forces, near a checkpoint west of the city of Al-Shaddadi, south of Al-Hasakah (in the Kurdish control area east of the Euphrates River). According to statements of the US Army and the Kurds, there were no casualties in the attack. On the other hand, according to ISIS, over 13 people were killed or wounded. According to the Syrian media, at least five SDF fighters were killed in the attack. ISIS threatened additional attacks targeting the US and the Kurds (“…what happened to them in Al-Hasakah is only the beginning of a flood…”). 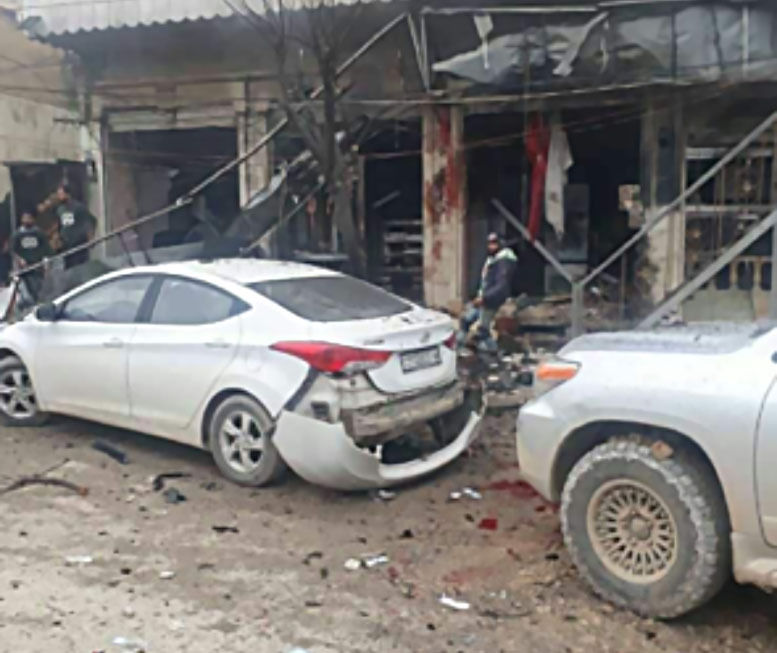 This suicide bombing attack came after an ISIS suicide bombing attack in the city of Manbij on January 16, 2019, against a joint patrol of the US and the Kurds. A total of 19 people were killed (four Americans and five Kurds). Behind the attacks and the threat is ISIS’s desire to show that the withdrawal of the American soldiers from Syria is going to be accompanied by attacks and losses inflicted by ISIS on the Americans and their Kurdish allies (thus representing the American withdrawal as a failure). It can be assumed that ISIS will make an effort to realize its threat and will try to accompany the American withdrawal with more attacks on American forces. Killing two Popular Mobilization operatives north of the city of Baqubah (Iraq – Diyala Province, January 20, 2019). Attacking an Iraqi police position near the city of Baqubah. 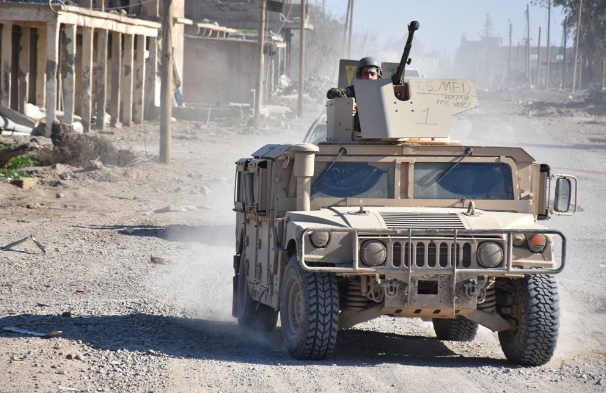 One policeman was wounded (Iraq – Diyala Province, January 20, 2019). Burning a factory owned by Shiites west of Khanaqin, about 95 km northeast of Baqubah (Iraq – Diyala Province, January 20, 2019). Burning the houses of two members of the Iraqi federal police north of Khanaqin, northeast of Baqubah (Iraq – Diyala Province, January 19, 2019). Blowing up a vehicle of the oil facilities security guards at an oil field 41 km east of the city of Tikrit. Three security guards were wounded (Amaq, January 19, 2019). 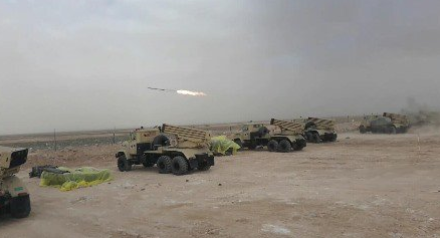 On January 18, 2019, the Iraqi army fired artillery at ISIS targets in Syria, in the Hajin area (taken over by the SDF) (Al-Sumaria; Iraqi News Agency, January 18, 2019). 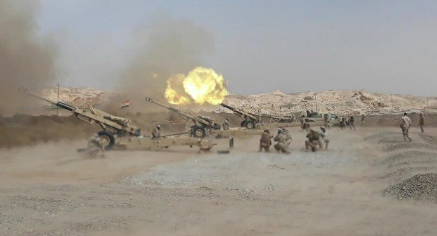 On January 18, 2019, the Popular Mobilization forces fired artillery at ISIS targets in Al-Susah, Syria (the site of fighting between ISIS and the SDF). 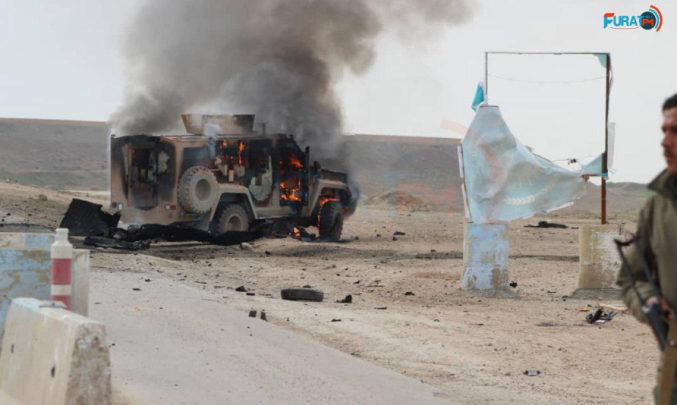 According to the Al-Anbar Province operations commander, 35 ISIS operatives were killed or wounded in the fire, including commanders who were going to attack Popular Mobilization forces (Al-Hashed.net, January 18, 2019). 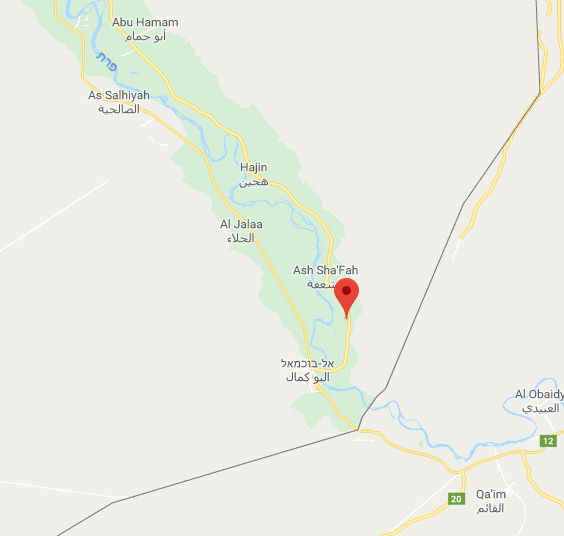 Al-Anbar Province: Two ISIS operatives were detained by the Counterterrorism Unit of the Al-Anbar Province in the city of Ramadi, about 90 km west of Baghdad (Al-Sumaria, January 16, 2019). Nineveh Province: Four ISIS operatives were detained in the city of Mosul. The detainees had previously been part of ISIS’s military command (Al-Sumaria, January 18, 2019). Salah Al-Din Province: Three ISIS tunnels were destroyed in the Makhoul Mountains southwest of Kirkuk. Kirkuk: An ISIS squad numbering four operatives was detained. The operatives had collected intelligence on the Iraqi security forces in the Kirkuk area (Al-Sumaria, January 19, 2019). The burning of the hospital in Rafah and two ambulances by “armed men.” Clashes broke out between the “armed men” and an Egyptian army force that arrived at the scene (Shahed Sinaa Facebook page, January 17, 2019). On the other hand, the Egyptian press reported that due to the harsh weather, which included strong winds, a fire broke out at the central hospital in Rafah but firefighters managed to control it without casualties (Al-Masri Al-Youm, January 17, 2019). Ambush in west Al-Arish. According to ISIS, the operatives who carried out the ambush killed an Egyptian officer, wounded several soldiers, and abducted a Christian civilian (Shahed Sinaa Facebook page, January 18, 2019). Sniper fire at an Egyptian soldier in the Al-Ahrash camp in the city of Rafah. The soldier was killed. ISIS claimed responsibility for the attack (Shahed Sinaa Facebook page, January 20, 2019; ISIS’s Sinai Province, January 20, 2019). IED detonated in southern Rafah. Two members of the Tarabin Bedouin tribe were killed and a third was seriously wounded. All the casualties belong to the Sinai Tribal Union (which supports the Egyptian security forces in their activity against ISIS) (Shahed Sinaa Facebook page, January 20, 2019). The Egyptian security forces took action against “terrorist operatives” in the desert area near Al-Arish on the basis of intelligence. Fourteen armed “terrorist operatives” were killed in clashes with the Egyptian forces. A total of 16 IEDs were found in the area, which had been planted on the traffic arteries between Al-Arish, Rafah and Sheikh Zuweid (Ma’an News Agency, January 20, 2019). On New Year’s Eve, December 31, 2018, there was an explosion in a residential building in the city of Magnitogorsk, in the Chelyabinsk region of Russia (east of Moscow). The 10-story building reportedly collapsed after the explosion. At least 39 people were killed in the blast and many others were wounded (bodies of victims are still buried under the rubble). The Russian authorities claimed that a gas tank had exploded (Associated Press, December 31, 2018; Reuters, January 3, 2019; Moscow Times, January 3, 2019). On January 17, 2019, ISIS’s weekly organ Al-Nabā’ published a claim of responsibility for the incident in Magnitogorsk, based on a “security source.” The claim of responsibility states that on December 31, 2018, “soldiers of the Islamic State” in the Caucasus Province carried out a “showcase operation” in which more than 39 people were killed, dozens were wounded and dozens are still missing. According to the claim of responsibility, the operatives planted explosives in a 10-story residential building and left the area safely. Then the explosion took place. The “security source” claimed that the publication of the claim of responsibility was delayed due to security reasons. The Al-Nabā’ weekly noted that the day after the attack, Caucasus Province operatives detonated an IED against a Russian truck in the same city, killing three Russians (Al-Nabā’ Issue 165, January 17, 2019). While ISIS remains under heavy pressure in its core countries (Syria and Iraq), the organization’s intensive activity in its provinces around the world continues, at varying levels of intensity. Particularly prominent was the activity of the West Africa Province in Nigeria (with “spillover” to its neighbors) and the Khorasan Province, which operates in Afghanistan/Pakistan; Two other provinces that stood out in terms of their scope of activities were Somalia and the Sinai Provinces (where ISIS continues to conduct continuous guerrilla warfare against the Egyptian security forces). ISIS’s other provinces around the world continued their “routine” offensive and defensive activities at a lower level of intensity. The main targets of the various provinces were local military and security forces and Al-Qaeda operatives. 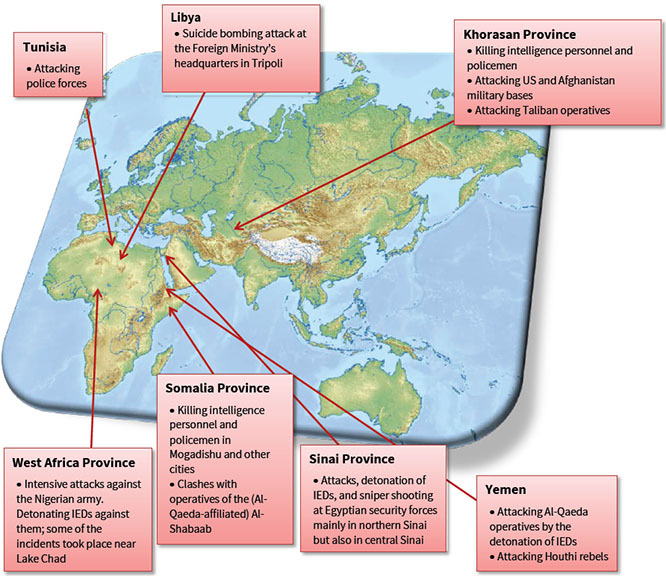 Worthy of note are the mutual assassinations between ISIS operatives and Al-Qaeda networks in Yemen and Somalia and the military clashes between ISIS and the Taliban in Afghanistan. Hezbollah’s Al-Manar Channel, relying on a “security source,” said that the Lebanese General Security had arrested an ISIS squad in the Beqaa Valley. The three members of the squad are Syrians who were associated with ISIS’s leadership in Syria and Lebanon. The three men recruited operatives to other ISIS squads, which carried out (and intended to carry out) attacks against the Lebanese army. The squad members reportedly manufactured explosives and poisons and trained new recruits (Al-Manar, January 22, 2019). The Russian Federal Security Service (FSB) announced that it had exposed a terrorist network that had raised funds for ISIS in the Krasnodar, Dagestan and Adygea Regions (Krasnodar and the Adygea Region are located some 164 km south of Rostov-on-Don). According to the announcement, the network was handled from Syria and raised money for ISIS around the world. According to the FSB spokesperson, the squad operatives transferred money under the guise of contributions to support the activity in Syria. During the operation, a transfer of 10 million rubles ($150,760) was revealed (TASS News Agency, January 21, 2018). It was also reported that searches carried out in the detainees’ homes revealed communications devices, means of payment, receipts and additional proof of their activity (ITAR TASS, January 21, 2019). 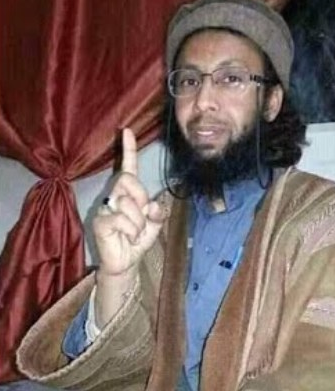 The Libyan media reported that during security operations to mop up the south of the country, Libyan security forces killed Abd al-Mun’em Salem Khalifa Belhaj, codenamed Abu Talha al-Hasnawi, one of the leaders of Al-Qaeda in southern Libya (Akhbar Libya, January 19, 2019). The report requires verification (in the past, it was reported that Abu Talha al-Hasnawi was killed, but the reports proved to be incorrect).